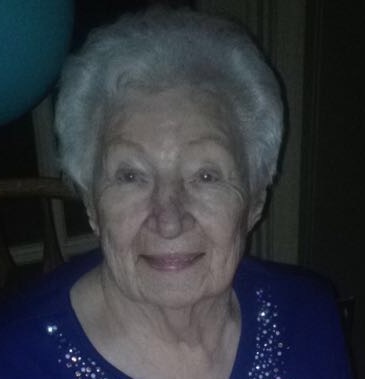 Bertha Marganski Walters, 92 of Glendale, AZ, passed away on January 11, 2019. She was born July 18, 1926 in Derby Connecticut, the seventh out of eight siblings, to Bruno and Anna Marganski. In her early years in Connecticut, she worked in a munitions factory during WWII, putting herself through Cosmetology school. After getting her license, she rode a Greyhound Bus to Seattle Washington to begin a new chapter in life. She started her career at the prestigious Olympic Hotel where she was introduced to a co-workers red headed brother Harold Louis Walters. They were engaged three weeks later! They went on to raise their two beloved children, Harold Louis Jr and Vivian Beatrice in Seattle Washington and retired to Sequim Washington in 1966. In 1986, Bertha relocated to Phoenix AZ and lived with her daughter and family for the last chapters of her life. Bertha was loved well and was well loved by many. Bertha’s posterity includes: her son Harold and spouse Paula of Port Angeles Washington and their three children; Angela (Michael), Harold III (Allyson) and Robynn (Andew). Her daughter Vivian and spouse Gregory Belliston of Glendale Arizona and their three children; Annie (deceased), Geoffrey and Abigail and four great-grandchildren; Dakota, Makenzie, Hayley and Kaiah.